Camilo Godoy is an artist born in Bogotá, Colombia and based in New York, United States. He is a graduate of The New School with a BFA from Parsons School of Design, 2012; and a BA from Eugene Lang College of Liberal Arts, 2013. Godoy was recently a 2017 Artist-in-Residence, International Studio & Curatorial Program (ISCP); and 2015-2017 Artist-in-Residence, Movement Research. His work has been presented in public space as a billboard in New York and at venues such as La MaMa Galleria, New York; Donaufestival, Krems; and Mousonturm, Frankfurt, among others. Godoy has an upcoming Session in November at Recess and a solo exhibition in February 2019 at CUE. I.S. 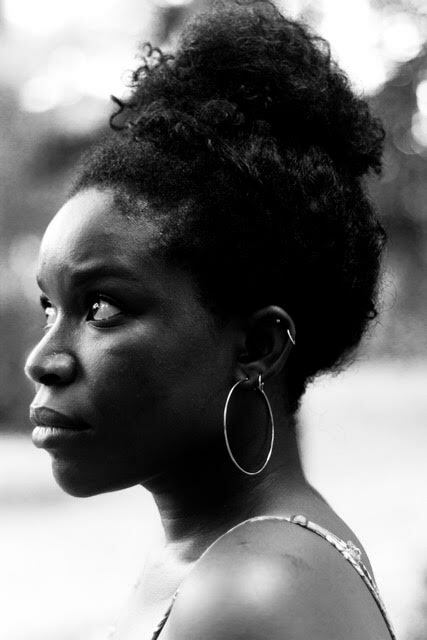 Jones is a queer American-Nigerian poet and music journalist from Southern California by way of New York. She is a Graduate Fellow with The Watering Hole, Callaloo, & BOAAT Writer's Retreat. In 2016, she was nominated for a Pushcart Prize. She is the Assistant Editor at Voicemail Poetry and Chaparral as well as the Managing Editor of Dead End Hip Hop. Her works have appeared in The Offing, great weather for MEDIA, Anomalous Press, The Shade Journal, the Black Voices Series with Puerto Del Sol, in Nat.Brut’s Neuro-divergent women folio, forthcoming in The Rumpus and elsewhere. She received her MFA in 2016. Lara Mimosa Montes is the author of The Somnambulist (Horse Less Press, 2016). Her poems and essays have appeared in Academy of American Poets’ Poem-A-Day, BOMB, Boston Review, Hyperallergic, and elsewhere. She is a 2018 McKnight Writing Fellow and CantoMundo Fellow. Currently, she works as a senior editor of Triple Canopy and lives in the Twin Cities. She was born in the Bronx. Aldrin Valdez is a Pinoy writer and visual artist. They are the author of ESL or You Weren't Here (Nightboat Books, 2018). Aldrin grew up in Manila and Long Island and currently live in Brooklyn. Aldrin has been awarded fellowships from Queer/Art/Mentorship and Poets House. You can find their poetry & visual art in The Felt, Femmescapes, Nat Brut, The Offing, Poor Claudia, and The Recluse. Aldrin has also presented work at Dixon Place, The Metropolitan Museum of Art, and The Poetry Project. From 2011-2015, collaborating with writer and organizer Ted Kerr, Aldrin co-organized Foundational Sharing, a biannual salon series of readings, performances, & visual art. Most recently, they've co-curated two seasons of the Segue Reading Series with fellow poet Joël Díaz.